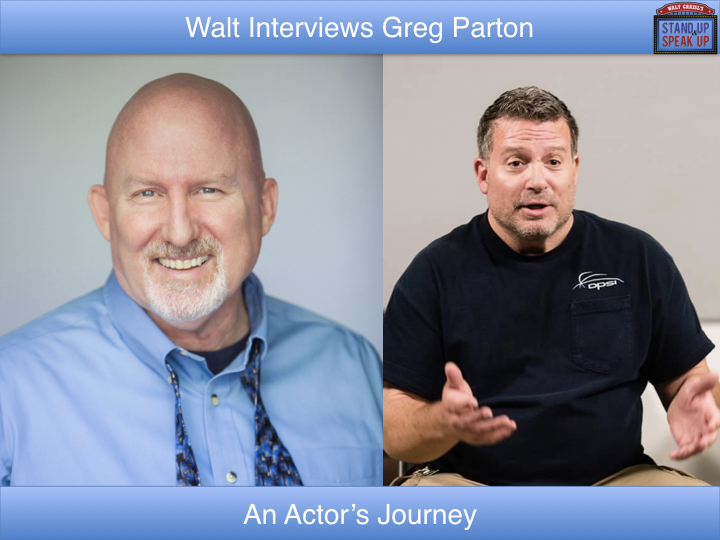 This week, meet Greg Parton and learn about one actor’s journey. Greg was born and raised in Delaware. His parents are from West Virginia. Greg grew up in a small town and played football for Glasgow High. He served in the military for 12 years in Special Ops. Greg’s dream was to become a working actor. He started his acting career in his 20s but gave up on that dream after a few years because of an incident with his agent. His dream resurfaced in 2011 when he met Lee Irving who eventually introduced him to Glenn Morshower. He then decided to move to Los Angeles California, and on Jan 7th, 2013 he took that leap of faith to go after his dreams and has been here ever since pursuing his dream.